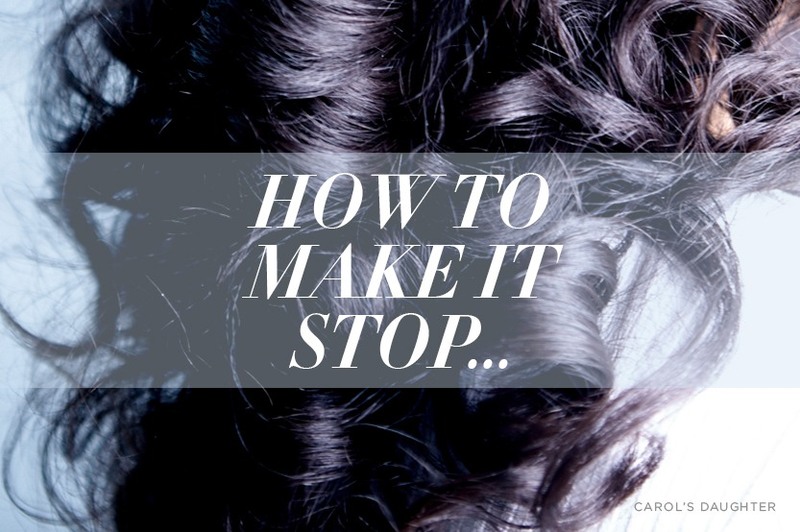 Regardless of whether your hair is relaxed or natural, it’s inevitable that you will experience some sort of breakage at least once in your life. While it might seem like you’re doing everything in your power to keep it from happening, sometimes the breakage can seem like it’s never going to stop. But, don’t fret! Just follow these top tips to help avoid breakage all year round. 1. Keep your hair moisturized. One of the main reasons your hair is breaking off could be that you aren’t applying enough moisture to your hair. It’s especially important to heed this rule if your hair is curly because it can become brittle and break off the easiest. Use a daily moisturizer like the Monoi Repairing Split End Sealer. Be sure to use a weekly hair masque like the Monoi Repairing Hair Mask to deep condition as well. 2. Create your own cocktail. Just because the bottle tells you to apply a dime-sized amount of moisturizer or leave-in conditioner doesn’t mean that you should. In fact, depending on the thickness and porosity of your hair, you might need to use at least quarter-sized amount. Also, you may need to add in a little bit of oil like the Monoi Oil Sacred Strengthening Serum into your daily hair routine. Be open to creating the best cocktail that works for you. 3. Braid your hair up before shampooing. When Wash Day comes around, try putting your hair into jumbo braids and then shampooing to cut down on tangles – which can also lead to breakage. 4. Make sure you get your hair trimmed on regular basis. Cutting off any part of your hair might sound crazy (especially if you are trying to grow it out), but removing split ends is the only way to prevent further damage on other parts of the same hair shaft where split ends are present. So, be sure to see your stylist every 6 weeks to decrease breakage. 5. Use a pre-wash moisturizer. Give your hair an extra shot of moisture on Wash Day by saturating strands with conditioner and letting it sit for about 10 minutes before washing with shampoo. Try the Monoi Repairing Conditioner. 6. Go easy on the heat. Blow-drying and flat ironing the hair on a regular basis can take its toll on strands – especially if your hair is relaxed. Try to rely on heat-free tools like Flexi Rods or hair rollers whenever possible. If you absolutely must use heat, be sure to apply a heat protectant like the Monoi Repairing Anti-Breakage Spray first and then use tools on a low-heat setting.